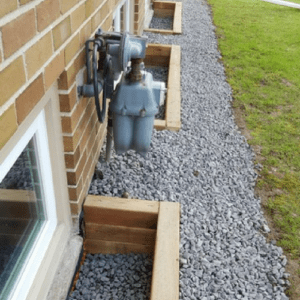 Installing Window Wells is an effective way to prevent unwanted water from entering your basement. Window Wells will keep your basement clean and dry as it helps to collect water when it rains or snows. Window Wells also prevent moisture damage to the windows themselves by preventing soil away from them. It is important to install window wells to prevent water infiltration, especially if your windows are located below grade. Window Wells is one of the Basement Waterproofing services Draintony provides. Call us now at 416-938-5102 or Contact us today to Get a Free Quote!